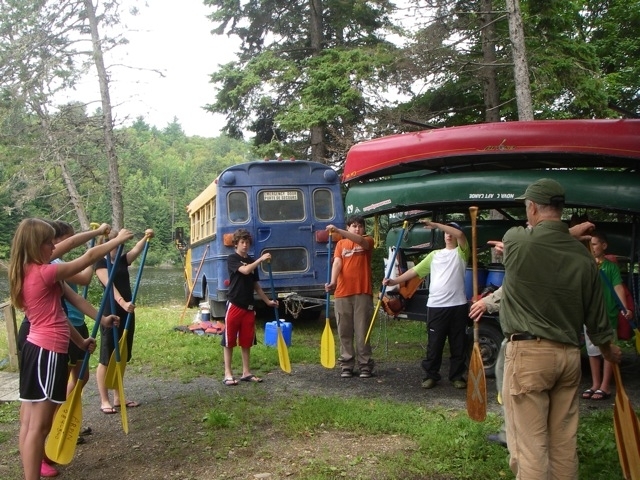 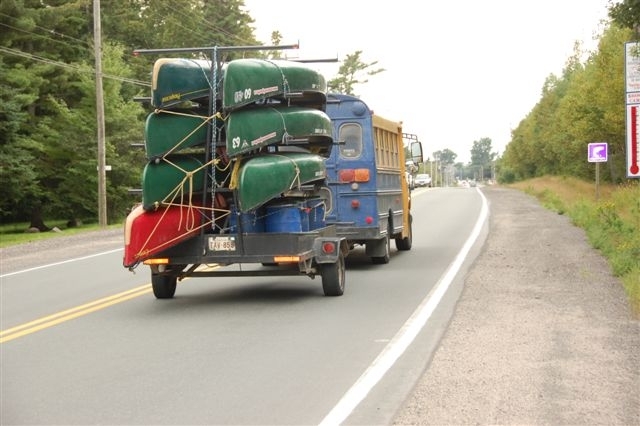 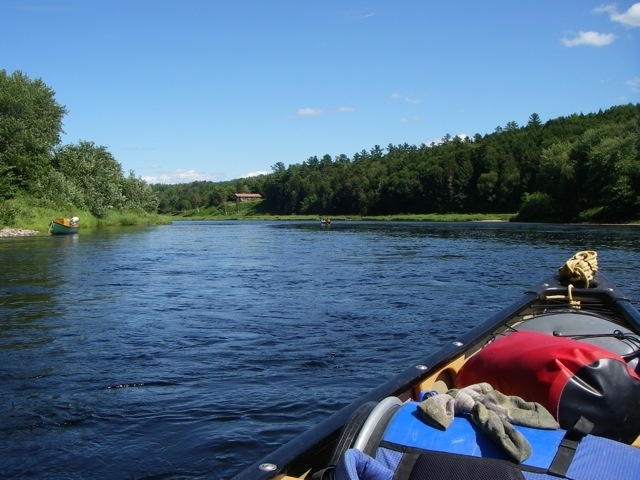 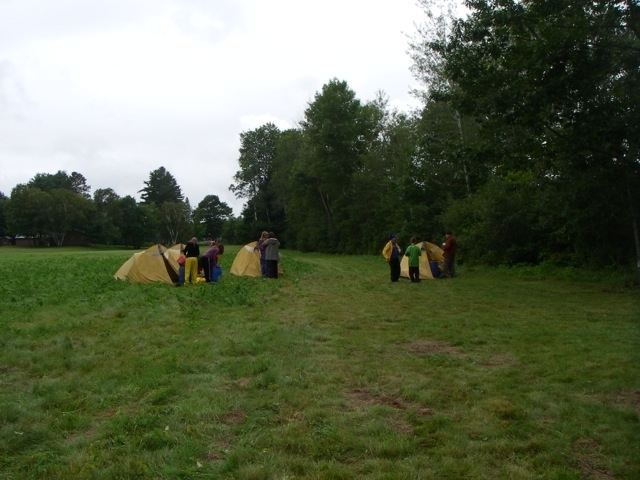 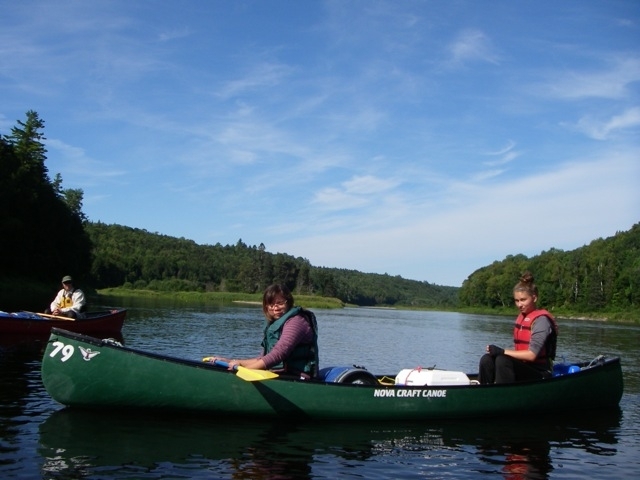 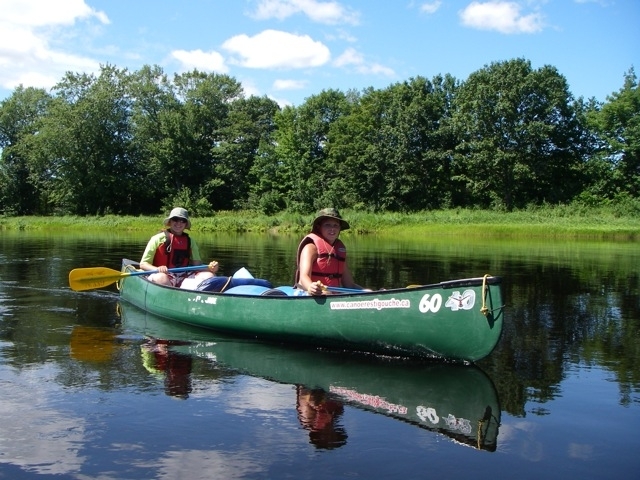 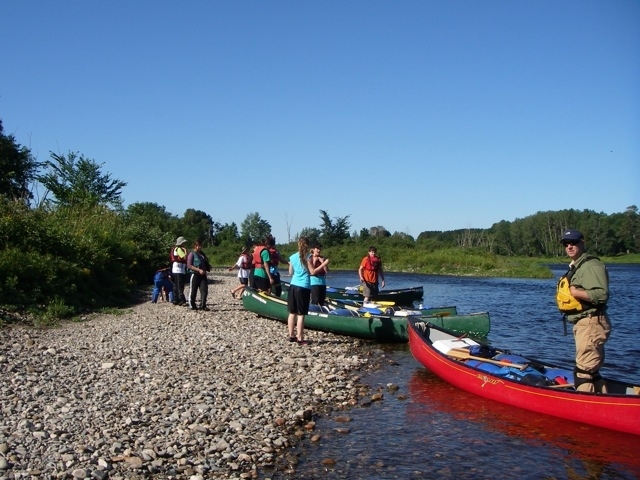 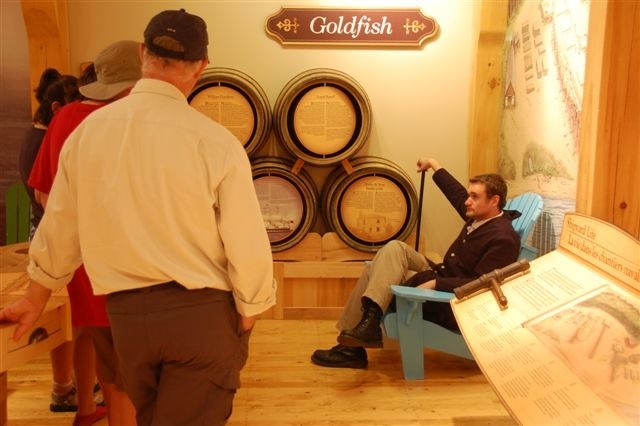 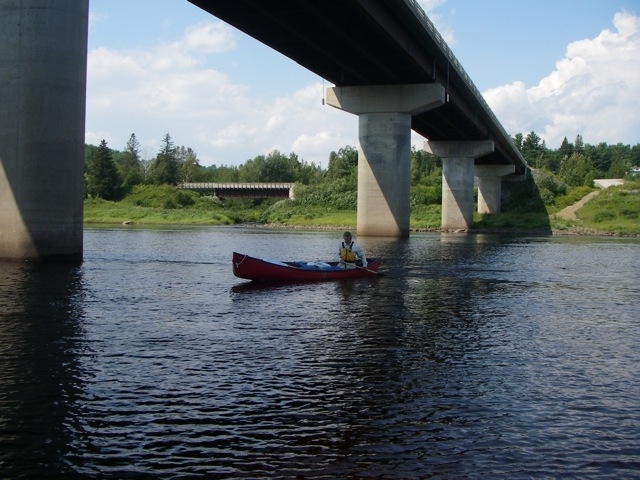 Between August 15-21, 2011 the Canadian Canoe Foundation (CCF) collaborated with Canoe and Kayak New Brunswick (CKNB), the Miramichi River Environment Assessment Committee (MREAC), the Miramichi Salmon Conservation Centre (MSCC) and Arpin Canoe Restigouche to run a 7 day canoe trip learning adventure for 10 local youth down the Southwest Miramichi River. 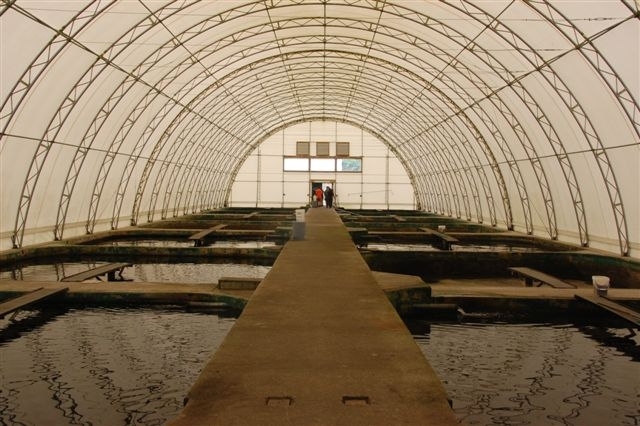 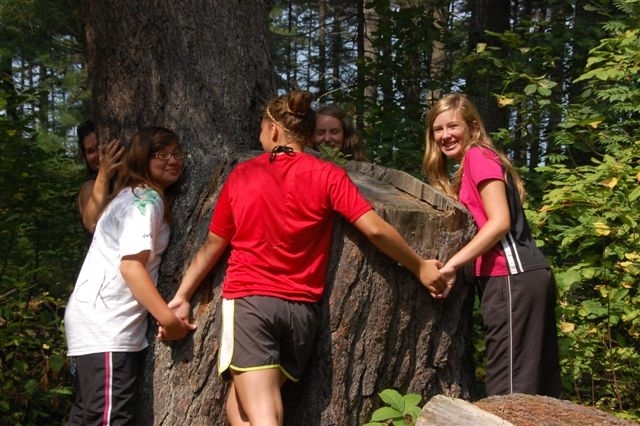 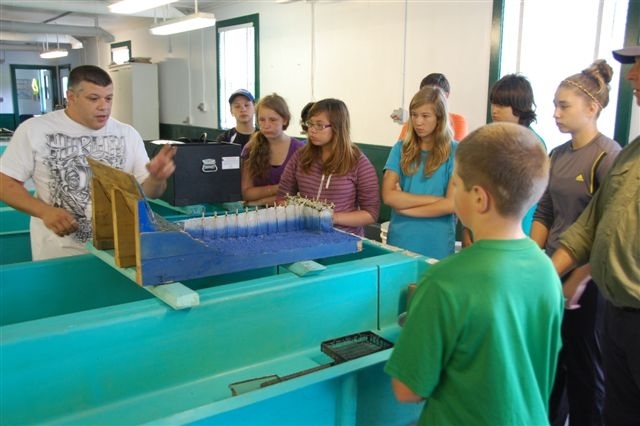 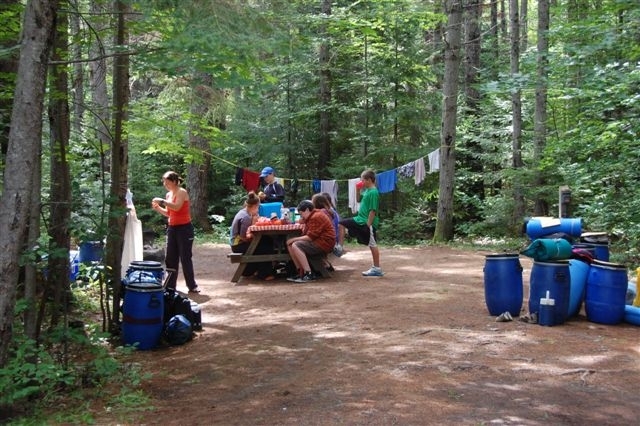 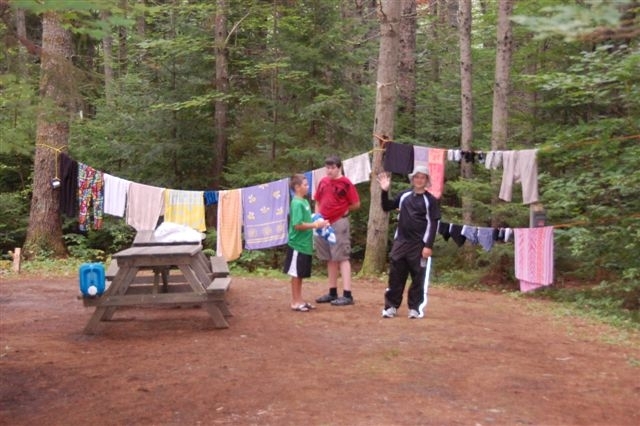 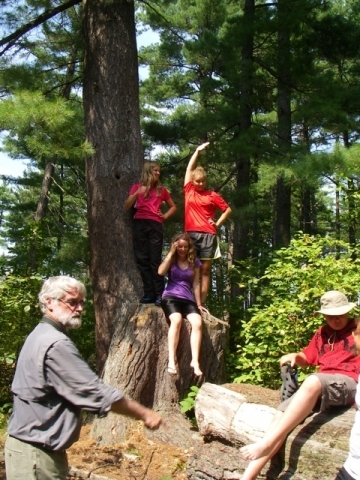 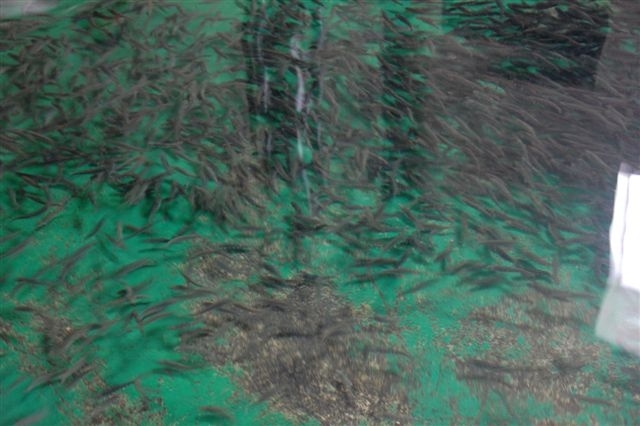 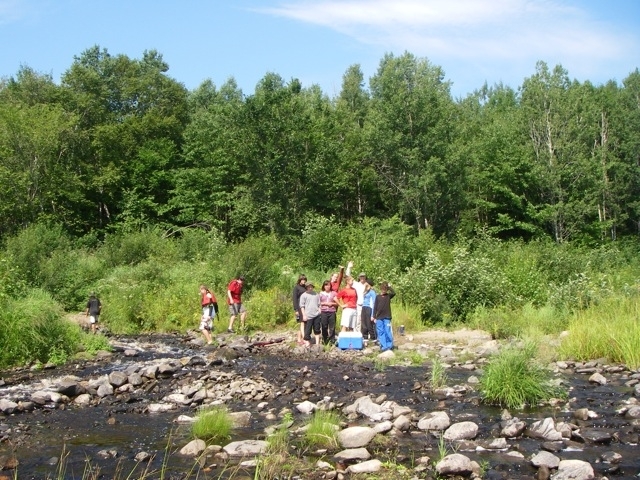 The objectives of the project were to 1) educate the communities of the Miramichi Watershed about the threats facing the Atlantic salmon population (and the environmental health of the Miramichi River Watershed), 2) send 10 local youth on a canoe trip learning adventure, 3) conduct a clean-up of garbage at campsites and access points along the , 4) raise media/public awareness of the MREAC and MSCC conservation campaigns. 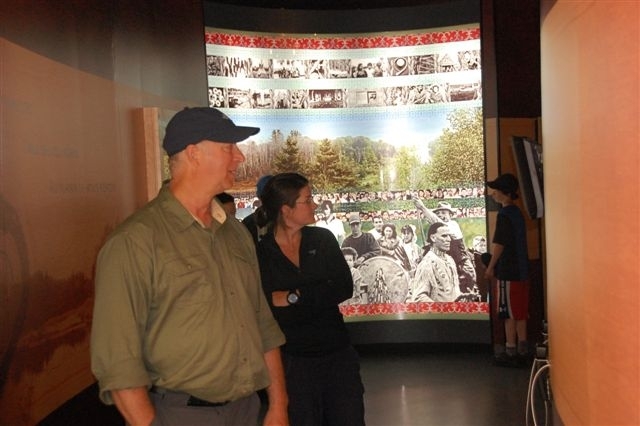 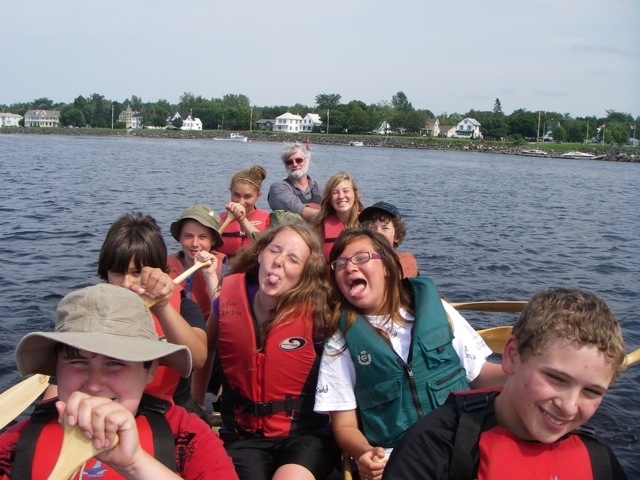 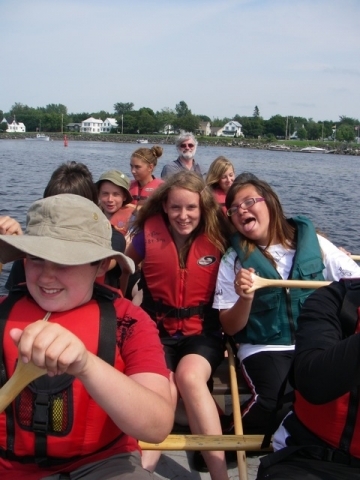 Education initiatives during the project included: -Visits to the Woodman's Museum near Boiestown and the Salmon Museum in Doaktown -Presentations by MREAC and MSCC -Canoe instruction course provided by Canoe/Kayak New Brunswick. 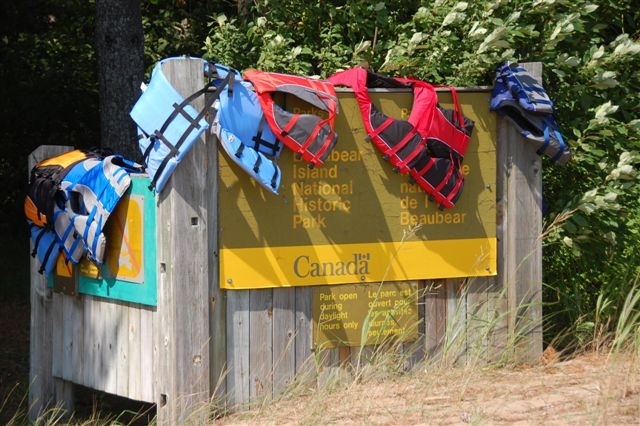 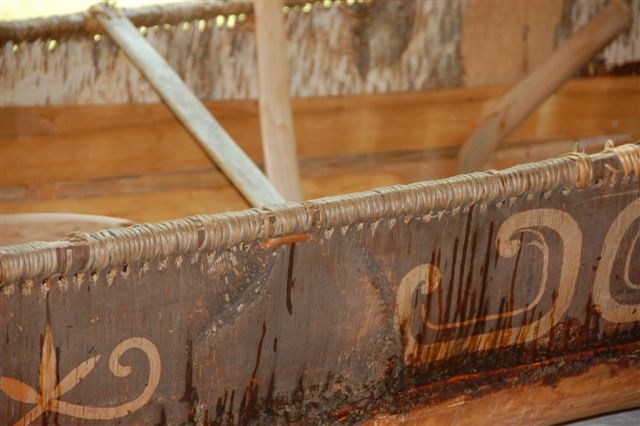 -A visit to Beaubears Island and Metepenagiac Heritage Park. 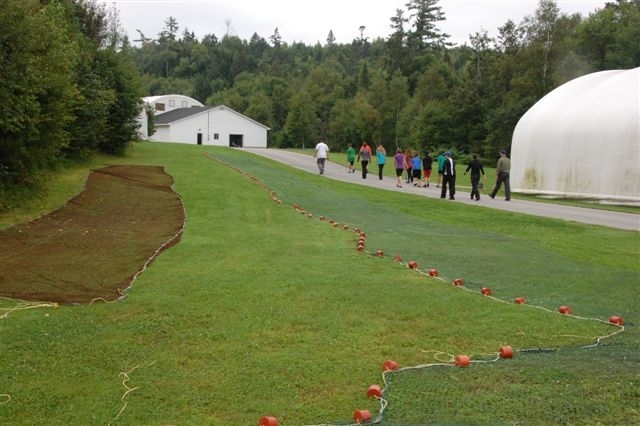 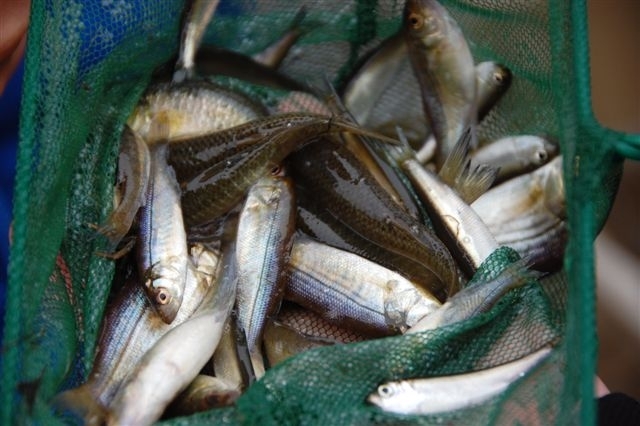 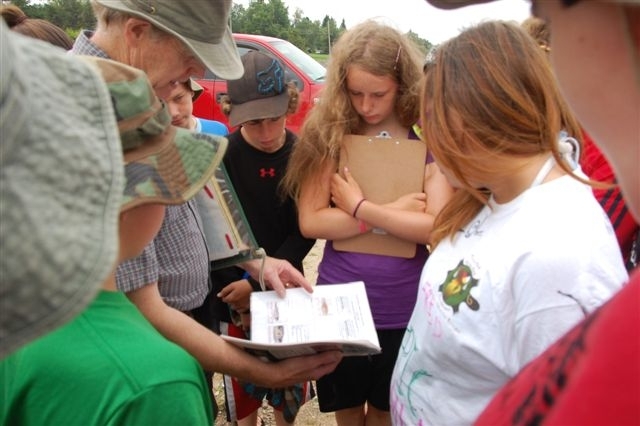 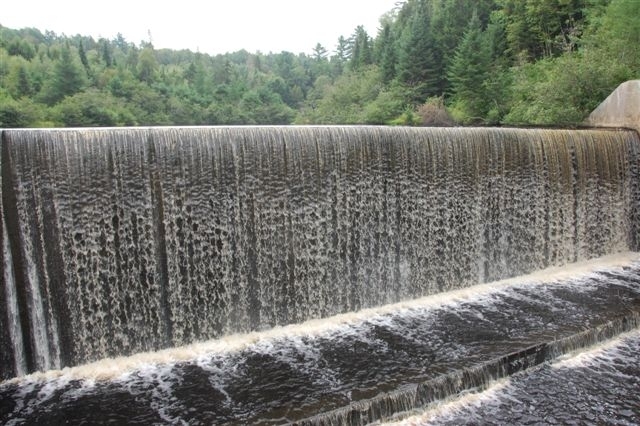 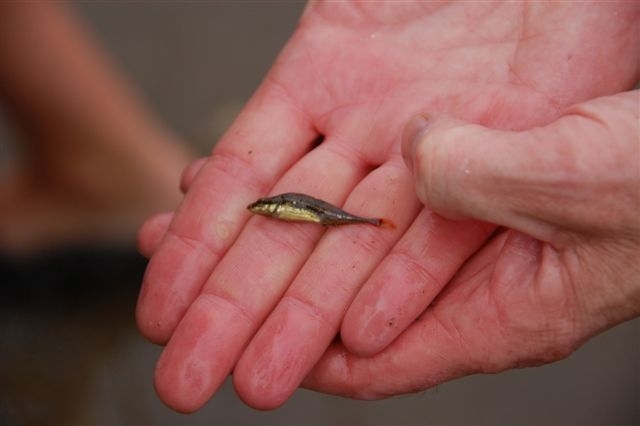 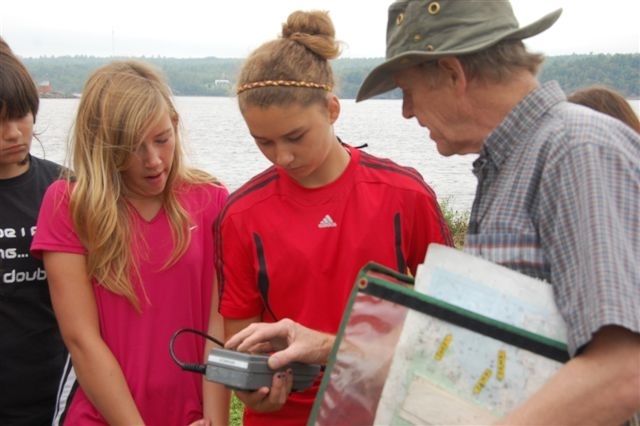 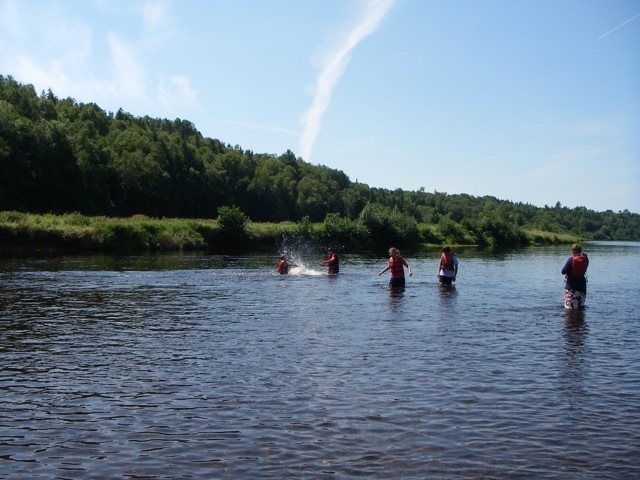 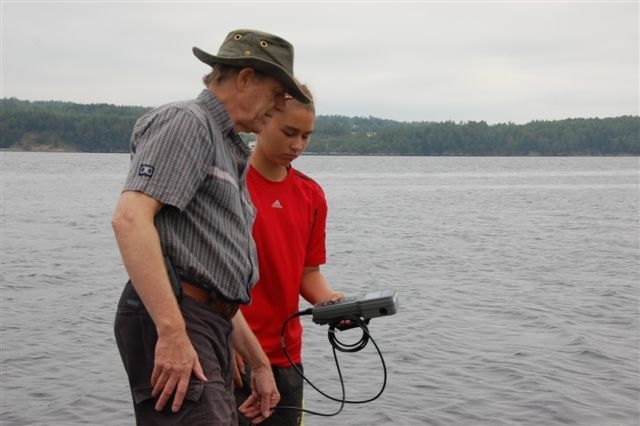 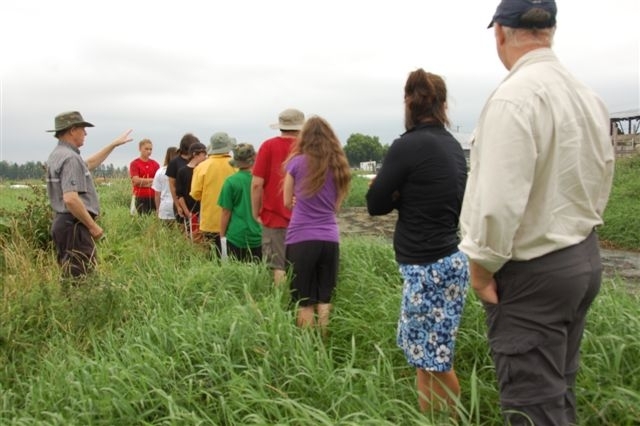 The 10 youth participants were provided with an environmental education curriculum booklet at the start of the trip which described the ecology and geography of the Miramichi River Watershed. 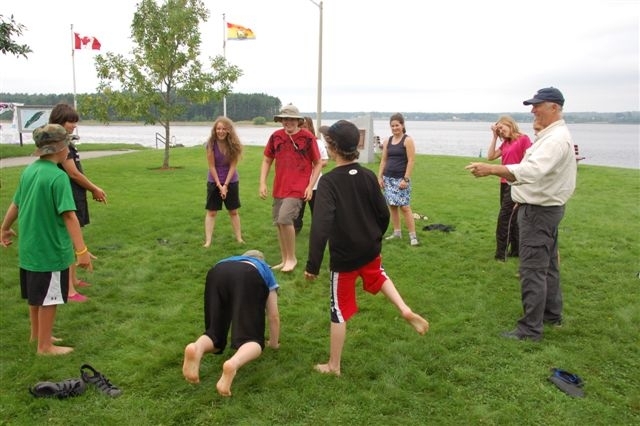 Structured discussions on these topics took place daily, providing the 10 youth participants with an 'on the water' education regarding the environmental status of their Watershed and the concrete steps they can take to promote better water resource management in their communities. 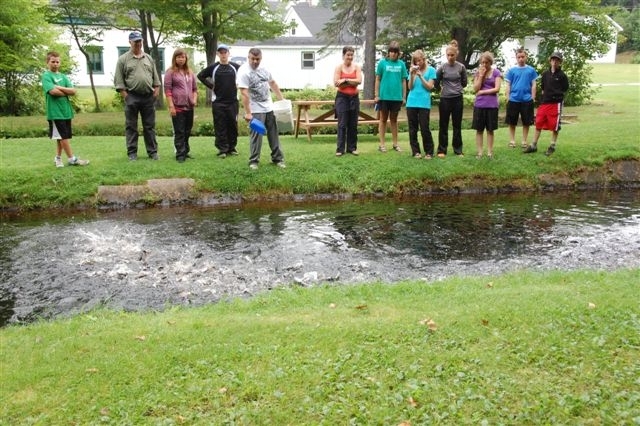 After the canoe trip, our 10 River Ambassadors will make presentations to their schools/community groups and write articles for local newspapers, describing their experiences and newly acquired knowledge about the importance of protecting their Watershed and the Atlantic salmon populations. 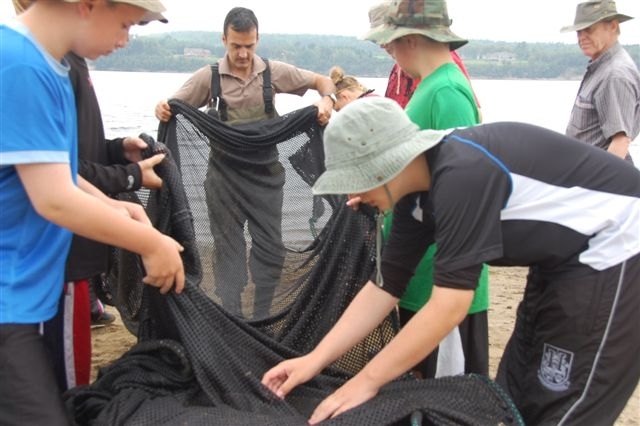 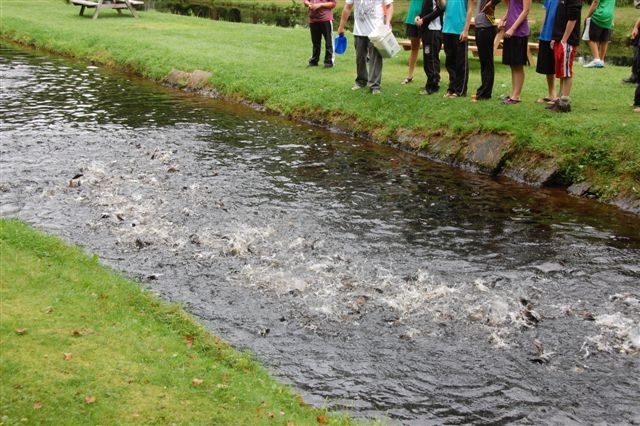 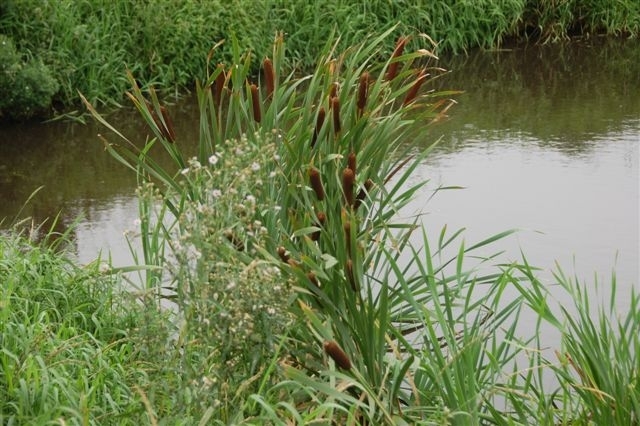 An important message that will be stressed in these presentations/articles will be that youth and their families have an important role to play in protecting their local waterways. 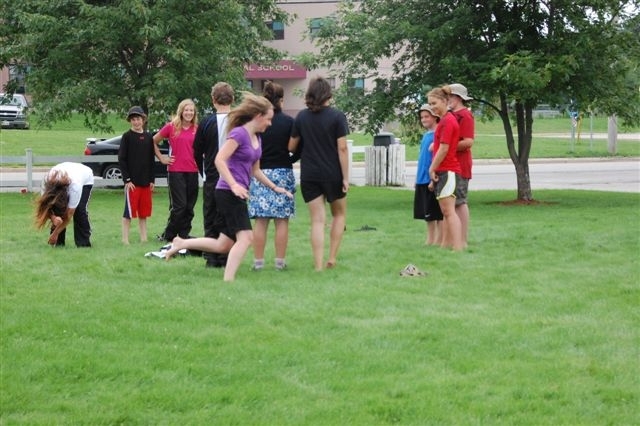 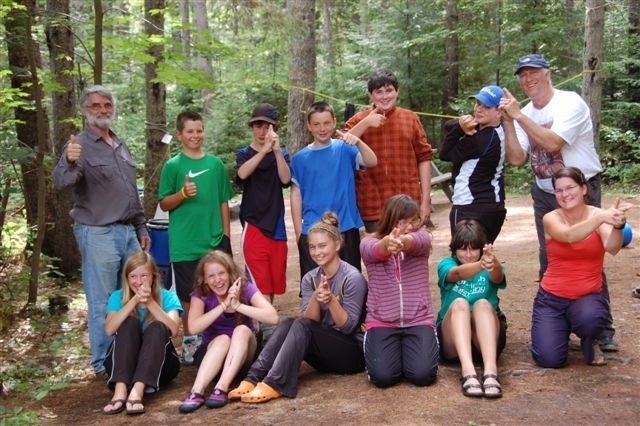 Thank you to everyone for their work in making this environmental education adventure a great success! 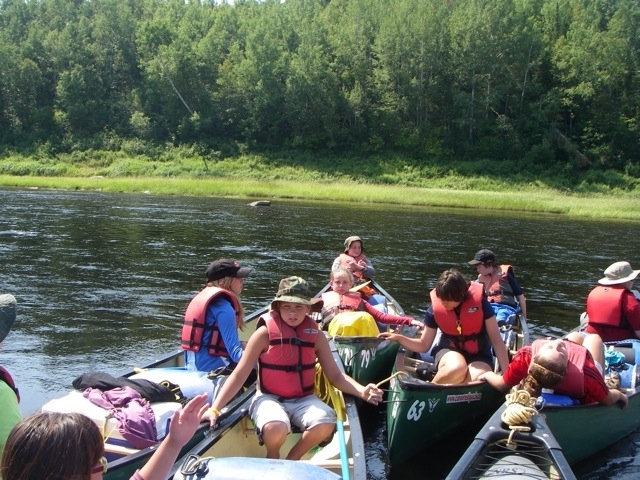 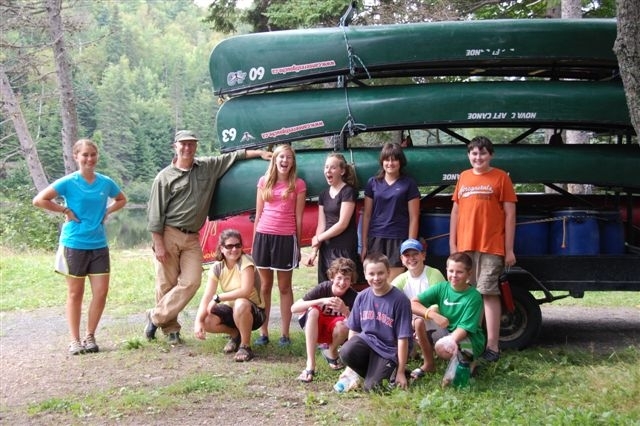 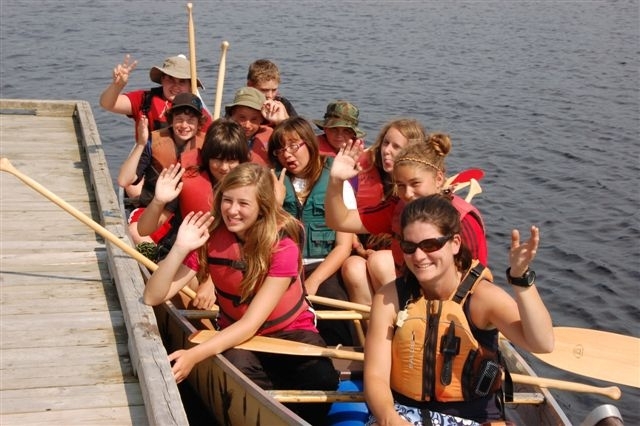 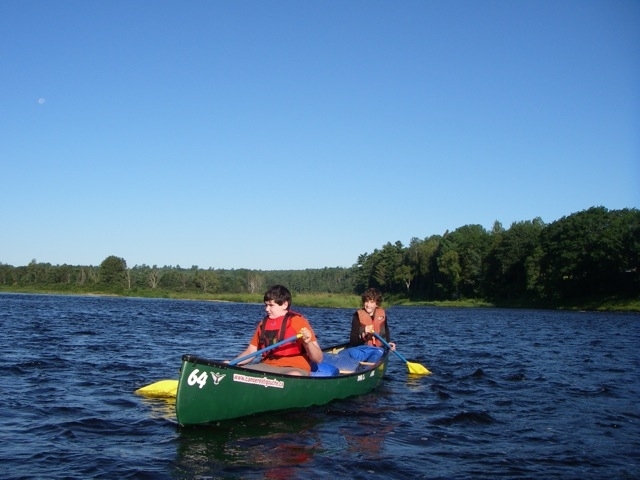 FUNDING FOR THE MIRAMICHI RIVER 2011 CANOE TRIP LEARNING ADVENTURE WAS GENEROUSLY PROVIDED BY: The Harrison McCain Foundation and m5pr .